I keep saying Nairobi is a world of many crazy things. From graffiti along the streets, discolored buses and fast people. Nairobi is a never ending world of crazy things. Hooting buses, Noisy conductors, bad roads, poorly constructed houses and alarming cases of daylight mugging. But beyond this noisy world, is a world of vibrant fashion market on its boom. I did my investigations and behold below is a list of top online clothing websites in Kenya. Specialize high quality leather bags, leather shoes. City work is ranked one of the best high quality companies when it comes to quality shoes. Being the sole distributer of branded shoes from Sketchers to Caterpillar footwear, we allow you to accessorize your wardrobe with style that you simply cannot find anywhere else. If you love casual but stylish things, you’re sure to find some fabulous bargains at Woolworths. Here, you can spot the latest trends and international catwalk designs skilfully presented as practical everyday wear. From awesome dresses to warm pullovers, elegant suits to cool designed jeans, outfits that are definitely chic. It celebrates itself African-inspired fashion and accessories with a contemporary twist? They have newly redesigned KikoRomeo store at Yaya Centre. With a great selection for both the edgy, younger generation as well as the more laidback, but still trendy, older generation, there is something for everyone.Kiko Romeo is found on the first floor of Yaya Centre. Binti is an online revolutionary.Over 10000 units were sold in 2018 alone.It offers a wide variety of fashion product.It features some of the best brands are David Nucci,NV edition.Today, they offer services and products across various categories including lengries,Jackets,high heels,bags,hair and weaves.A lot of kids wears brands are alos being sold at Binti.co.ke.The only things is that Binti only focus on Women and kids. Explore Binti Online Wholesale Shop and discover the best deals when it comes to fashion in Kenya. You will get the best prices online in Kenya for trendy and unique products. Huh,this one is Kenyan based. Is a clothing store that offers an exclusive collection of men’s clothes and accessories? Their extensive clothing line consists of the latest styles ranging from ties to executive business suits? They provide our men with essential clothing needs from smart casual to classic suits and ties. https://www.ndoleta.com/wp-content/uploads/2018/11/St%C3%A9phane-France-Fashion-Logo.jpgI lI keep buying stuff from Ndoleta.com because it saves my time and sometimes, a little money too!It is a premium online shopping site, which aims to fulfill all your shopping needs. They feature more than 200 brands with over 2000 products including makeup, bath and body care products, beauty accessories and luxury products for men and women. Their products are genuine and 100% authentic.At Ndoleta.com you will find a wide range of accessories ranging from makeup, skin care products, nail care, fragrances to beauty tools like hair straighteners, hair and makeup brushes, curlers, face sponges and bath accessories. Ndoleta.com has many premium brands in store like Maybelline, Lo’real, Lakme, Neutrogena, Vichy, Calvin Klein, Davidoff, Braun and lots more. It is a premium online shopping site, which aims to fulfill all your shopping needs. It offers quality clothing but they are really pricy for a common mwannchi.Is a quality international brand for men, women and kids at covetable prices. 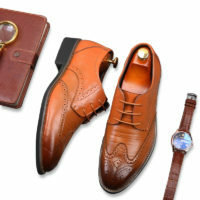 Men’s smart casual wear, shoes & accessories at reasonable prices. Women’s clothing, accessories, jewelry, lingerie, pajamas and stylish footwear. Kids clothing at affordable prices. It has its origins in South Africa. Recently moved away from Deacons and is currently standing alone.